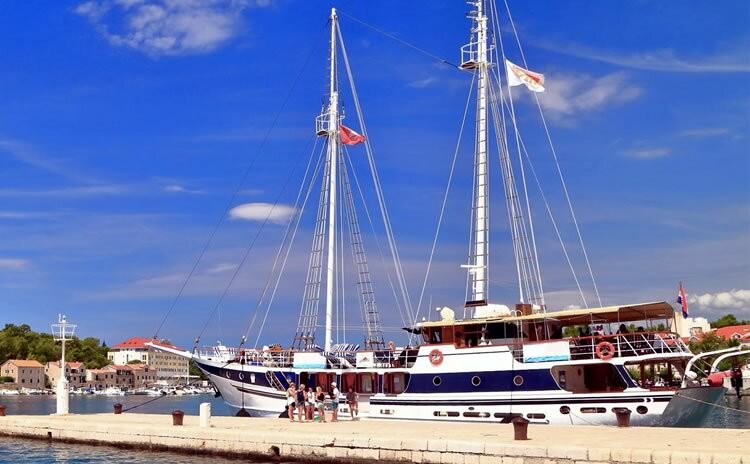 The MS Kapetan Kuka is one of our newcomers for upcoming summer season on cruises departing from Rijeka. 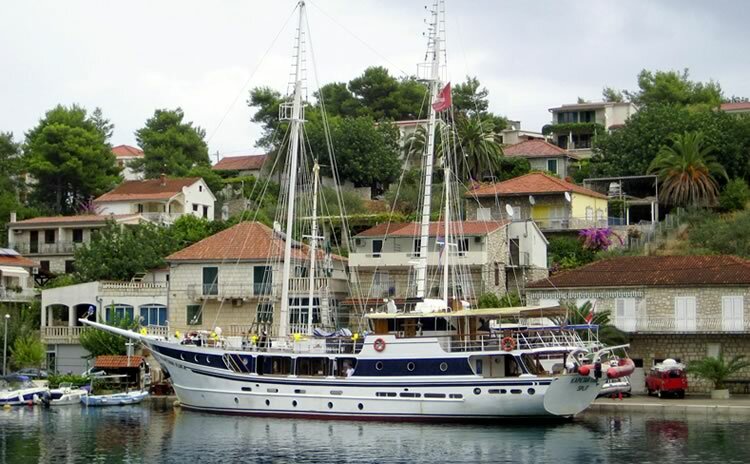 Named after the famous movie character “Captain Hook”, this marvelous steelhull vessel is fortunately not commanded by pirates, but by Captain Pero Kalebić from the small island of Šolta. 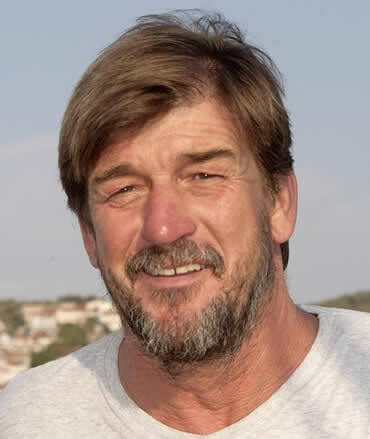 Captain Pero and his former boat “Zelenbor” used to be part of our fleet for many years. 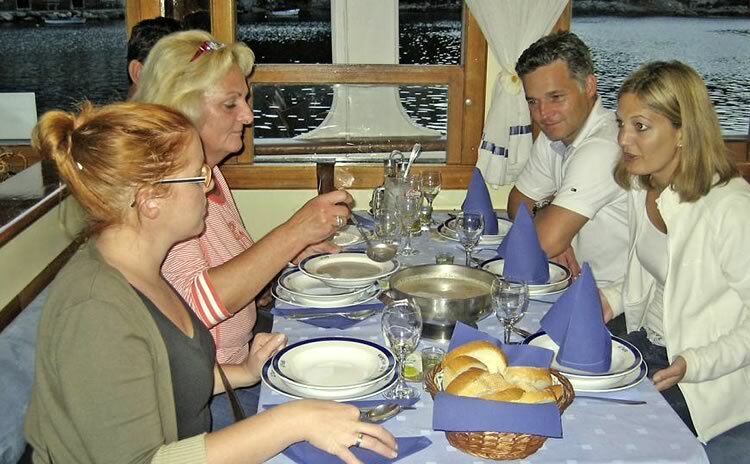 In summer of 2015, the Kalebić family decided to buy a new vessel and to celebrate their comeback. 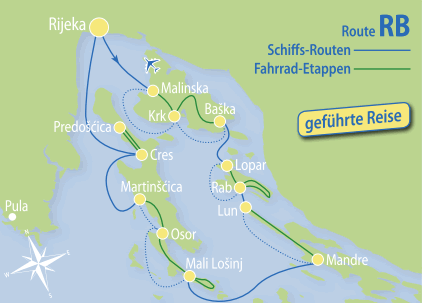 Before the 2016 cruise season begins, the Kapetan Kuka will go through an overhauling process including renovation of all cabins. 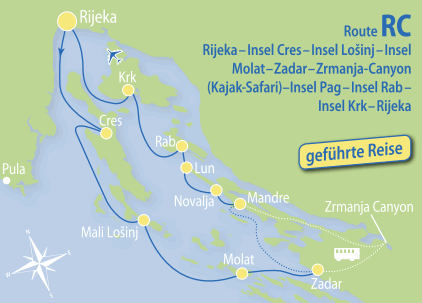 General data: Length 36 m, built in 1989, renovated in 2016. 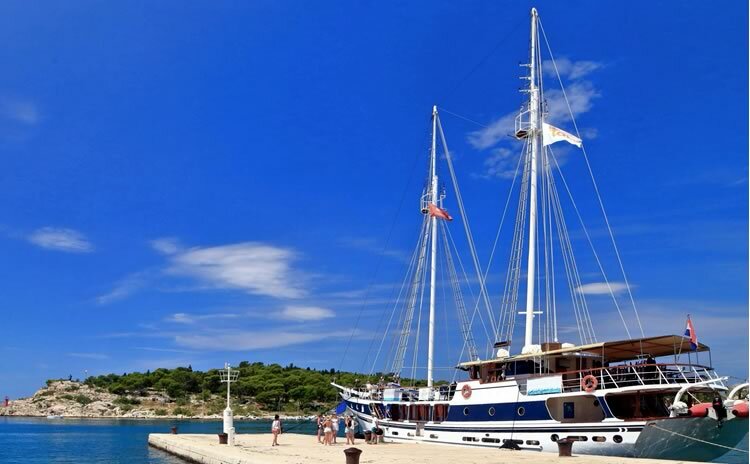 34 beds in 14 cabins with shower/toilet and individually controllable air conditioning. 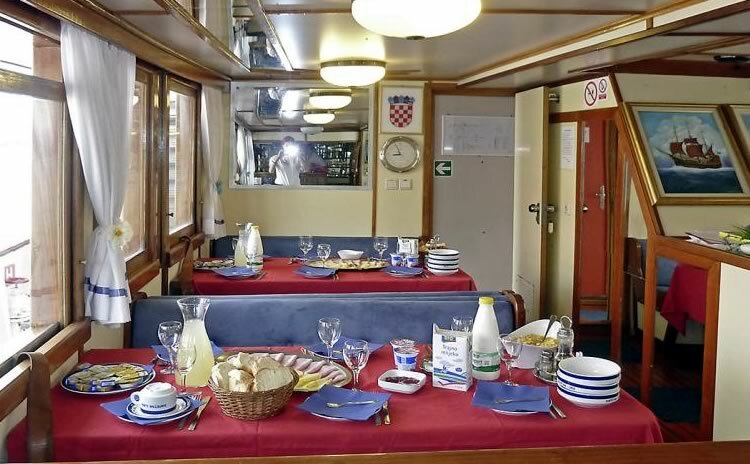 Lower deck: 6 twin cabins with bunk beds, 4 triple cabins with queen-size bed and 3rd bed above. 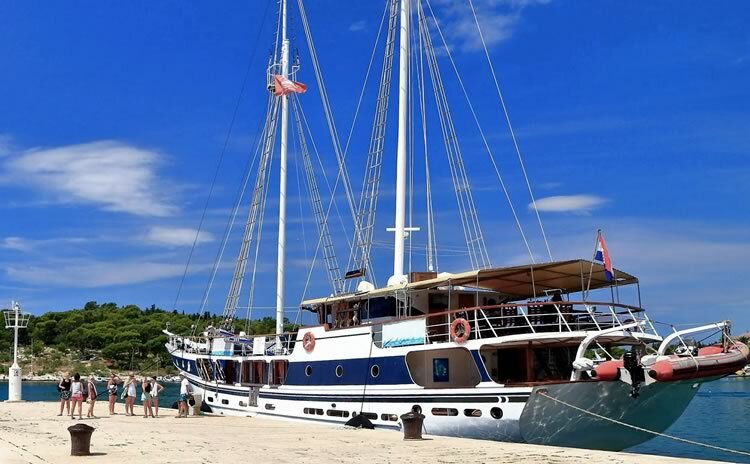 Main deck: 1 twin cabin with bunk beds, 1 family cabin with bunk beds (= 2 twin cabins sharing one shower/toilet). Upper deck: 2 twin cabins with bunk beds. Other: 1 shower, 1 toilet. 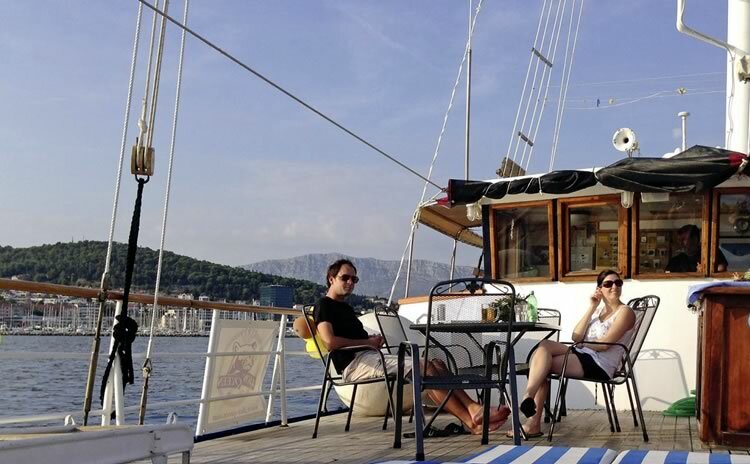 Sun deck (150 m 2 ) with sun beds, seats and a covered area at the stern. Tables with benches and chairs for 15-20 guests on the covered main deck behind the saloon, air-condi- tioned saloon with separate dining and lounge area for 34 guests. 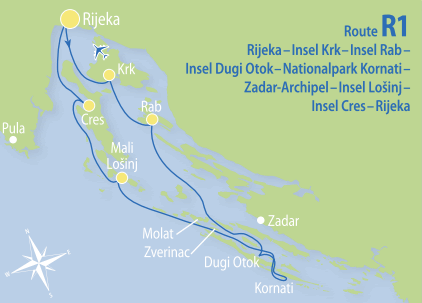 half board (including dinner on embarkation day, and breakfast and lunch or dinner on the following days of your cruise). 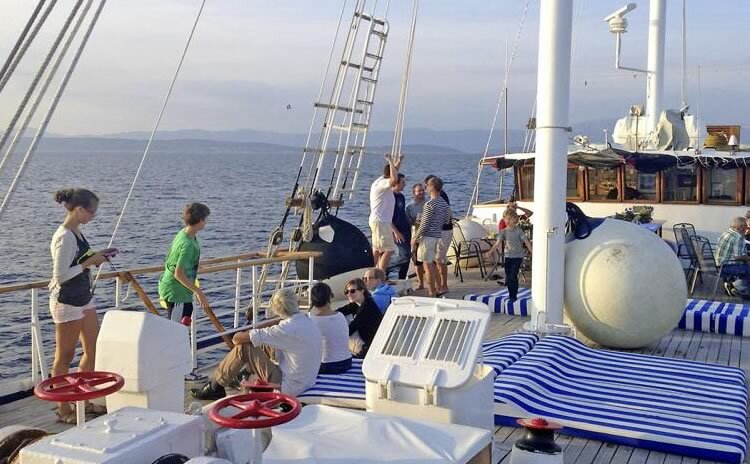 On some boats full board is offered – please check the price list for more information.